Just after the end of the event, Apple has updated its website featuring all the latest in home. Thus we find the main protagonist mini iPad, along with video presentation and used for another icon that leads to the complete keynote (in case you missed the broadcast and want to see it). At the bottom we find the new fourth-generation iPad and retina display, the iMac with a radical design change and the MacBook Pro 13-inch retina display. The intended icon iPhone 5 remains on the cover, as it still is a recent release. The online store also has been reactivated. 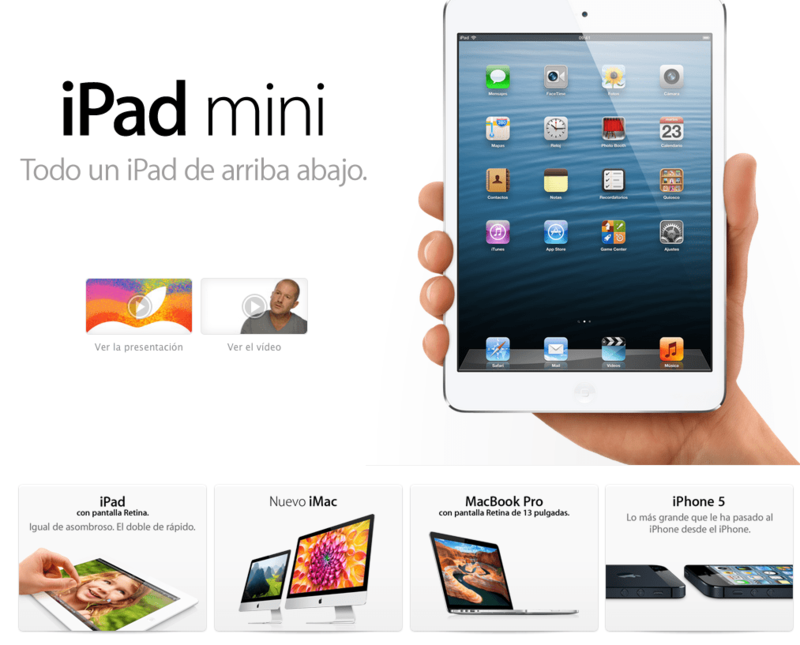 This Friday we will start booking the mini iPad on the Apple website. You can find more information on News iPad . Article The Apple site is now available with all the news has been originally published in News iPhone .